Into this .prf, I use 2 patch. The swing seem to be alterate. This is not consistent and very precise. BUT, the sequence play normal when I select another slot or "Patch Settings" or "Global Panel" or "System/Patch". I use the Master mode. 1. Be careful with the volume (Master Level). The kick sound is on 1/16th. 145 BPM. This is a rolling loop (BBBRRrrrrrr). 4. Select another slot or push "Patch Settings" or "Global Panel" or "System/Patch". The kick (slot 2) is triggered by the module "1 PTN 3/4" (slot 1). 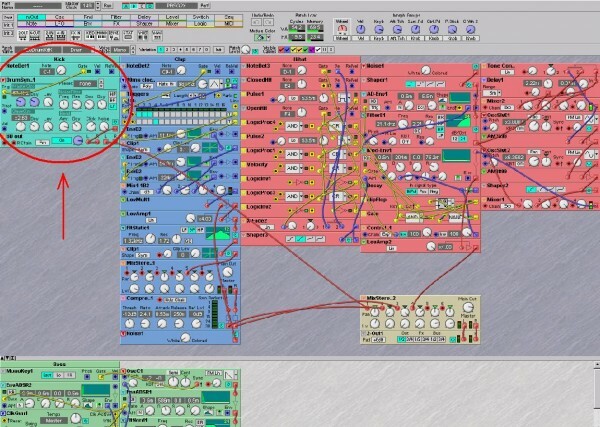 It seem more I use many sequencers into a slot, more the problem is big. When I look all big patch from you in the archive I will push "Patch Settings" or "Global Panel" or "System/Patch" before now. Or the result can be alterate. Is it a bug ? To me it does not make sense that the groove does not seem stable when I'm on the slot I worked on but it's accurate when I chose a different menu. 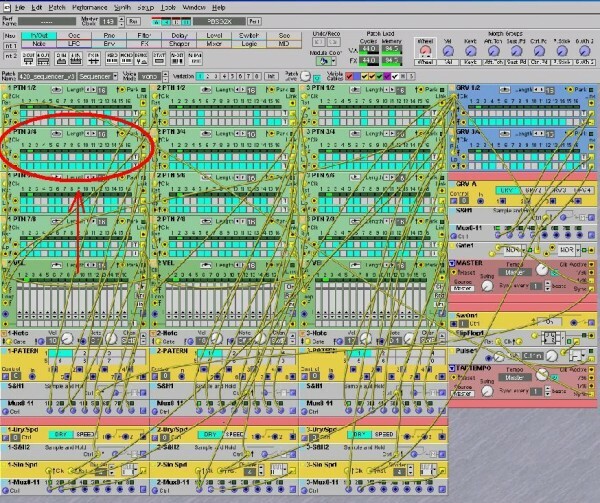 This is not a problem about VCO sync/phase or an EQ before a filter (click, glitch, aliasing). I use the DrumSynth in the exemple bellow for the kick sound. I don't know if it was more accurate to speak about this on the generel discussion before to post it there. But tell me if Im wrong. I edited my first post after doing some tests to be more accurate, and I've added screen captures from the editor.